These 22 vegan slow cooker recipes are perfect when you’re looking for easy and comforting recipes without meat or dairy! Especially in the winter, I absolutely LOVE my slow cooker! It’s just such an easy way of cooking! And isn’t it just awesome when you come home after a long day and have some delicious dinner waiting for you in your slow cooker? Or you could also make breakfast in it! Prepare it the night before and then all you have to do in the morning is getting up and going to the kitchen. I don’t think there’s anything better than having a warm breakfast on a cold winter day. 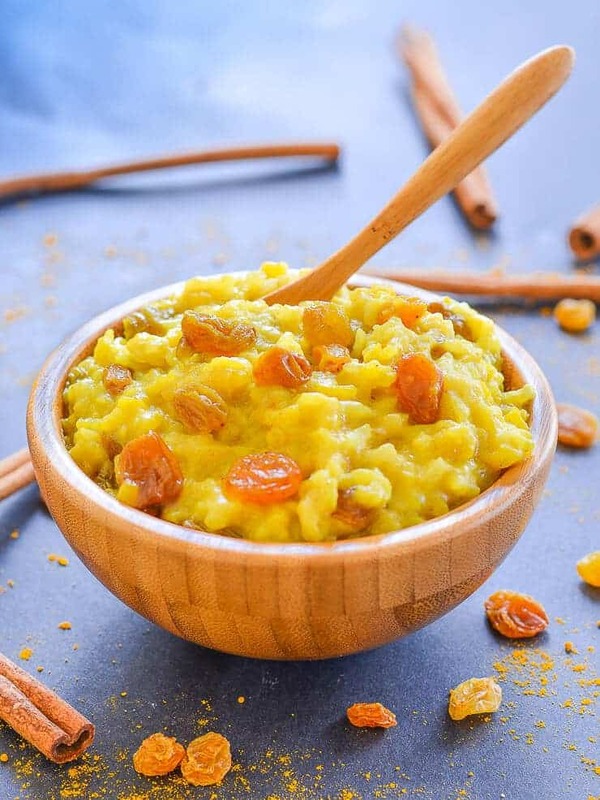 I’m a total smoothie addict, but on cold days even I love warm porridge from the slow cooker! As always, I teamed up with some fellow food bloggers to provide you with this great list of vegan slow cooker recipes! We got you covered with so many vegan recipes! hot drinks (mulled apple cider and cranberry apple cider) – both perfect for winter and the Holidays! Did I make you hungry yet? « Mushroom Bourguignon – Super Easy Recipe! I love using my slow cooker this time of year. Can’t wait to add of these to our upcoming menus! 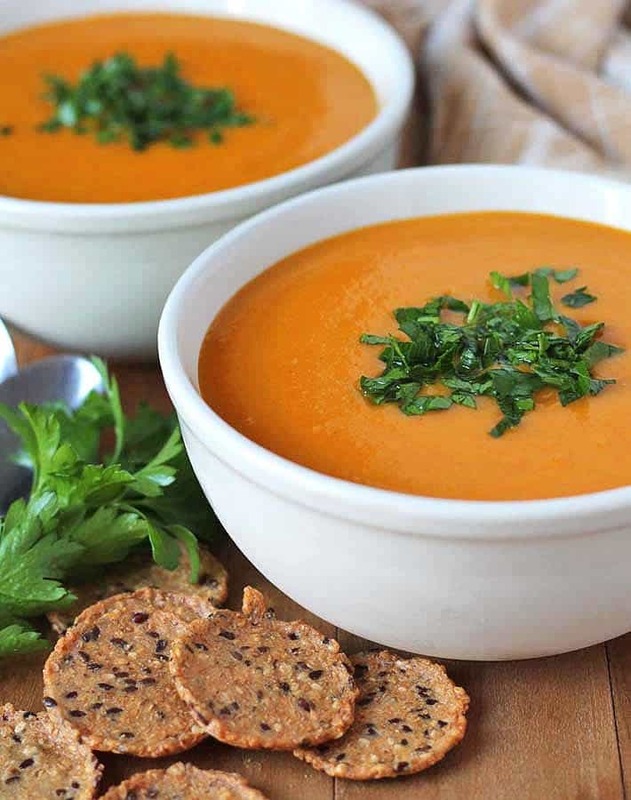 Thanks for including my Red Lentil Stew! oh my gosh – what an amazing round up – which I will be referring to throughout the colder months :) I will be starting with the Korean chickpeas. Love these! Thanks for including my recipe! Sharing. 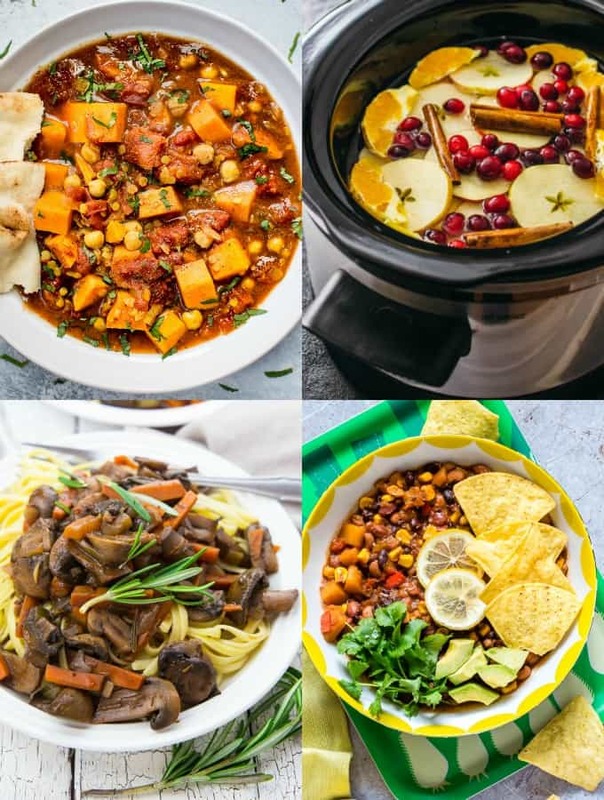 My husband has been really into slow cooker dinners lately and is game on more plant-based meals, so I’m bookmarking these!